Enjoy the show through one of these kid-friendly venues/groups! It’s important to teach kids to appreciate the arts at an early age, and fortunately in Fairfax County we have MANY community theaters and performing arts companies that cater to young audiences. See our list below and check the individual theater websites and our Calendar of Events for information on upcoming shows! 9601 Ox Road, Lorton, VA 22079 (703-584-2900) The Workhouse Arts Center, a large visual and performing arts center in Lorton, provides shows for young audiences in its W-3 Theater. This intimate 100-seat venue with stadium-style seating and a 25’ x 25’ stage hosts plays and small musicals all year long. Tickets usually are $12 for adults, $8 for kids. Shows tend to be on weekends, so the whole family can attend! Each summer, Wolf Trap Foundation and the National Park Service present this beloved outdoor theatre for children, featuring music, dance, puppetry, and storytelling. Dates vary; shows are approximately 45-60 minutes long and recommended for children ages 4 and up. 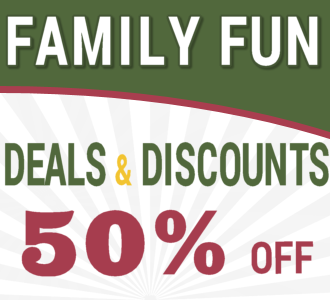 All year long, Wolf Trap offers other family-friendly shows (concerts and operas) at the Filene Center and The Barns. For 25 years NextStop Theatre (previously Elden Street Players) in Herndon has brought unique productions to western Fairfax County. Through its family series they also have introduced the magic of live theatre to the next generation of young patrons. At this professional theater, none of the 114 seats are further than 25 feet from the performance space; this provides for a feeling of “inside the set” intimacy. The Alden is a beautiful, 383-seat performing arts venue presenting nationally and internationally touring acts including children’s programming. Throughout the year, The Alden presents plays, musicals, puppet shows, concerts, and other kid-friendly acts that provide fun for all ages. The theater is in the McLean Community Center next to Central Park. Founded in 1996, ETAP provides musical theatre education, entertainment, and outreach programs to the community along with high-quality shows. The group presents a spring show and a Broadway-style holiday show each year performed by local students and theatre professionals. The holiday program is complete with original programming, sets, costumes, and dance numbers that make one think that they are in New York City watching the Rockettes. Creative Cauldron is a not-for-profit arts organization providing learning and participation in the performing and visual arts for children and adults since 2002. In June 2009, Creative Cauldron offers programs all year round a ArtSpace Falls Church, a 3,000 square foot flexible arts facility, including performances that have multi-generational appeal. Since 1980, Mount Vernon Community Children’s Theatre had offered Northern Virginia exceptional stage productions and educational programs in the performing arts. The performances, at various locations in the county’s south end, feature children ages 3-18. MVCCT presents three or four productions each year plus special programs such as camps. Northern Virginia Players presents quality community theater by kids for kids! The children involved in a production (all are kids ages 8-17) work together to create shows with amazingly professional results. The group provides one show in the spring and one in the fall. The Good Shepherd Players began as a musical theater group in 1981, drawing from talented members of the Church of the Good Shepherd in Burke. The purpose of the group is to increase the popularity of musical theater at the community level with family-friendly performances in the spring and summer. The Vienna Theatre Company, started in 1974, is the resident, non-profit performing company at the Vienna Community Center. The group produces several shows each year, including some that are perfect for all ages. 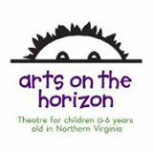 Arts on the Horizon is the first company in the United States to focus exclusively on producing theatre for children ages 0-6. The performances are designed to take place in an intimate setting where children feel comfortable to learn and explore, and be an integral part of the performance. The company performs throughout the year at various locations. Neighborhood community theater for the Mount Vernon area of Alexandria and Northern Virginia, produced by Aldersgate United Methodist Church. ACCT presents classic plays and musicals that are comfortable and fun for families to enjoy together. The group produces three to four shows per year. Acting for Young People (AFYP) is the theatre group of Potomac Arts Academy, part of the College of Visual and Performing Arts at George Mason University. AFYP provides actors of all ages with professional-level training in a supportive and fun environment and puts on public performances throughout the year. Fairfax Academy is a career and technical education center with a focus on performing arts, design, and media communications. Based out of Fairfax High School, the academy serves the county and brings together students from various schools for special shows and musicals throughout the school year. Also see other upcoming shows from individual middle and senior high schools on the Fairfax County Schools Drama Departments page. 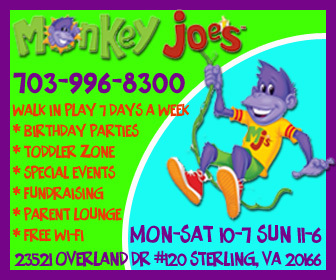 Other theaters and theater groups that exclusively or regularly provide all-ages, kid-friendly shows in our area include Dominion Stage and Encore Stage and Studio, both in Arlington; Sterling Playmakers and Growing Stage Theatre Company, both in Loudoun County; and The Pied Piper Theatre in Manassas. For older audiences (adults/teenagers), see this directory of theater companies in the VA/DC/MD area. Also check with your local high schools for current productions. Theatre company logos are (c) the individual companies listed; used here with permission (please email us if this is no longer the case); other images are royalty-free art. 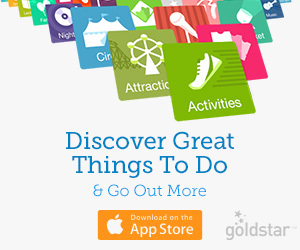 Share the post "Kid-Friendly Theatre"